Parts & Power are the Caribbean distributors for Kubota generators (7-20kW) and Kubota industrial parts. 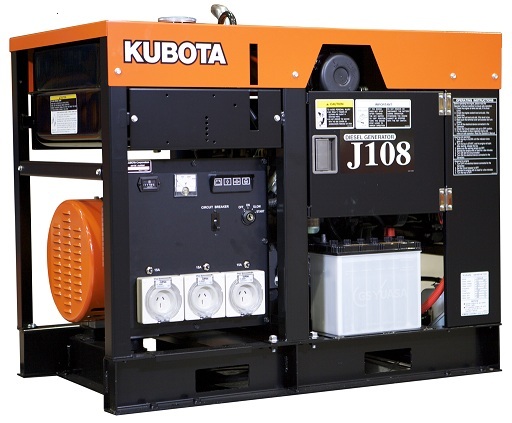 Kubota is a world-leading manufacturer of compact, multi-cylinder, liquid-cooled diesel engines up to 114HP. In 1890, Kubota Corporation started its rich history of innovation and contribution to society in Osaka, Japan. In 1922, Kubota launched production of the horizontal, liquid-cooled kerosene engine for agricultural use. The first compact diesel engine was sold in the United States in 1976. Today, Kubota has grown into the world-leading manufacturer of emission compliant compact multi-cylinder, liquid-cooled diesel engines below 100 HP. With Parts & Power, you can get your hands on some of the best Kubota products around, with our diverse range of classic, modern and robust generators, engines and parts. Each product we stock has been tried and tested in the harsh Caribbean environment, undergoing rigorous testing and use to ensure it performs consistently and brilliantly even over time. If you have any questions or concerns regarding a Kubota product, please feel free to contact us directly for more information. Please visit our generator product pages to see the details on these generators and for special pricing. * If purchased for use in the BVI, customs duty will have to be paid. 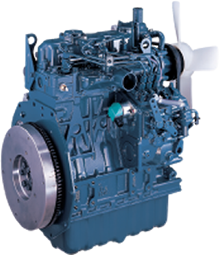 The Kubota engine range has a series for every industrial application. Whatever your power application is for - generator, lighting tower, welder, compressor, skid steer, the list goes on – Kubota engines have proven, reliable products for the requirement. Please visit our engine product pages to see the full Kubota engine product line. Protect your generator investment by using genuine Kubota OEM parts. Genuine KUBOTA filters are specifically designed to remove harmful contaminants from engine oil even during the harshest of conditions to maximize the life of your KUBOTA engine. Contact Parts & Power for your Caribbean Kubota generator, Kubota engine and Kubota Parts requirements.